On 27th October 1485, Jasper Tudor, uncle of the new king, Henry VII, was created Duke of Bedford, and Henry’s step-father, Thomas Stanley, was given the title of Earl of Derby. The two men had been instrumental in Henry’s victory at Bosworth. Jasper, in particular, had devoted his whole life to Henry’s welfare and had shared his exile in Brittany. Jasper was the second son of Owain Tudor and Catherine de Valois (whose relationship had created a furore in the 1420s – more on that here). He had been created Earl of Pembroke by his half-brother, Henry VI, and on the death of his brother, Edmund, had stepped into the role of protector of Edmund’s widow and child. 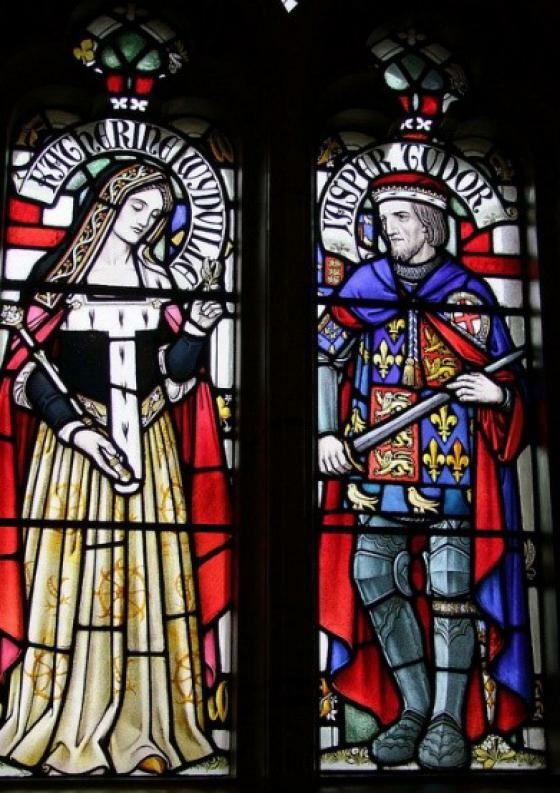 Preoccupied with the intermittent warfare of the Wars of the Roses, Jasper had not married, but, not long after being elevated to a Dukedom, he was given the hand of Katherine Woodville, sister of Queen Elizabeth Woodville. This was all part of Henry VII’s plan to bind the Yorkists to his new Tudor dynasty. Katherine had previously been married (very unhappily) to the Duke of Buckingham, whose rebellion against Richard III had cost him his life. Jasper and Katherine had no children, and Jasper died in 1495. Here’s my site about King Henry VIII, hope you enjoy!